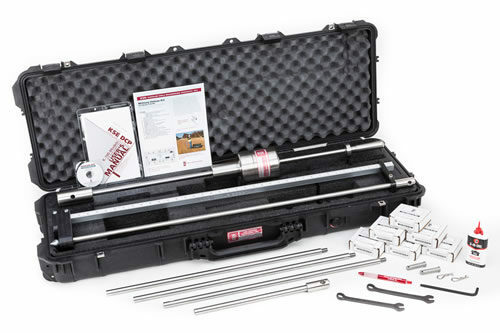 The K-100 Economy Kit measures the shear strength of soil with a CBR between 10-100. 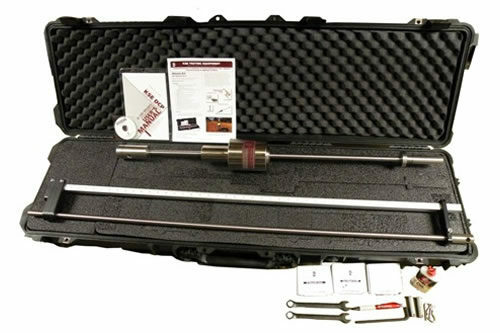 This kit is ideal for the engineer who occasionally needs CBR values in the field. 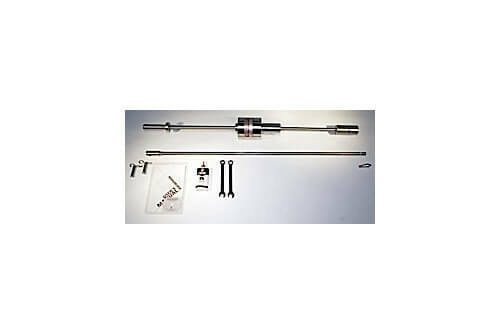 The single mass structural steel hammer is standard with this kit. 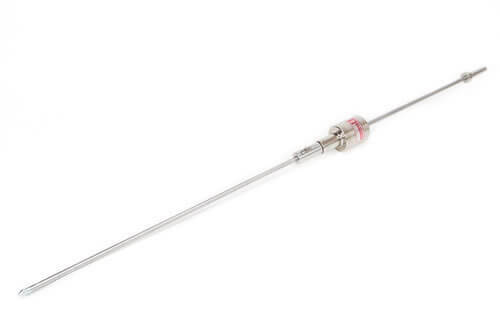 Also included is a hardened point, manual & CD, and 3-in-1 oil. 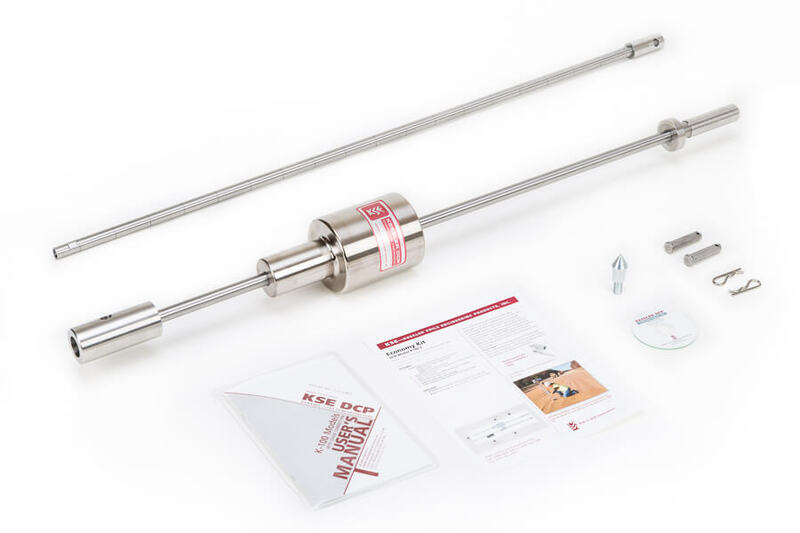 The User’s Manual provides look up tables for CBR and psf to correlate to the number of blows between the 2″ rings marked on the Drive Rod. 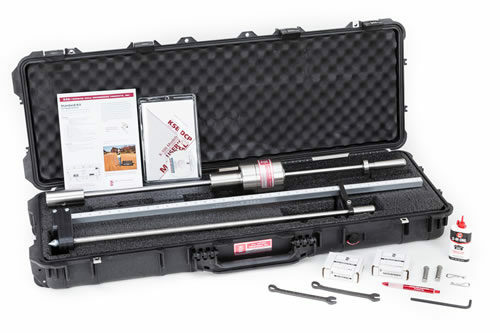 Please Note: The K-100 Economy Kits DOES NOT come with a carrying case or Vertical Scale. 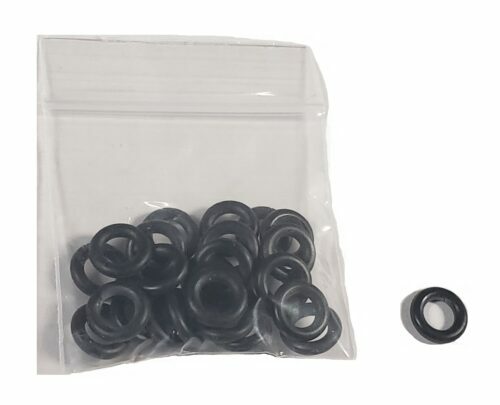 Disposable cones, Adapters, additional Hardened Points, and Pelican cases are sold separately.